M V Harland: Happy New Year! A happy new year to everyone – except England's cricketers. The Poms were fried and not just by the Aussie sun. Well done Australia. Our mob just seem to treat an Ashes Tour Down Under as winter practice in the sun. Perhaps we could ask Canberra if we could resurrect an old Penal Colony for failed Pommy cricketers. Now there's an idea! Richmond Prison in Tassie would be ideal and just think how many extra thousands of visitors it would get if they could see sunburnt English cricketers breaking stones in the mid-day sun – without those silly sponsors caps on of course. 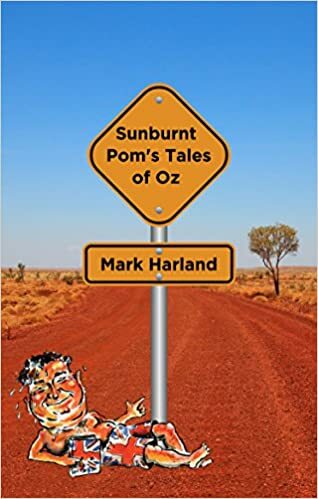 Well, the release of my 'Tales of Oz' paperback is only a couple of weeks away now. I can't wait to see it 'in the flesh' as it were. Containing just twenty short tales it is a slim enough volume to make it 'airmail friendly' from the Old Country. I am already looking ahead to a sequel but it will have to be after my next trip, maybe later this year. The new Qantas non-stop flight from London to Perth looks a winner to me so I am saving up my pennies.